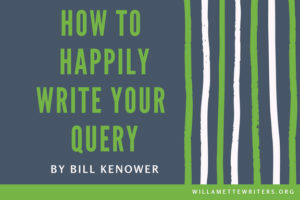 We’re excited that Bill Kenower is a member of the faculty at the upcoming Willamette Writers Conference. If you’ve written a book, and you’d like to publish it traditionally, then you will probably want to find an agent. The best way to find an agent is by recommendations from writers who already have representation. Chances are, you don’t know a writer, and so your next best option is to attend writers’ conferences where you can pitch your book to an agent in person. But if conferences aren’t an option, or are an option you have already exhausted, you will have to write a query you can send to prospective agents – and if you are like ninety percent of the writers I know, you will dislike this experience profoundly. I was one such writer. I loved writing books; I loved talking to people about the books I’d written, but I found the query letter an awkward and unnatural form of communication. How can I possibly condense the rich tapestry of my novel into two paragraphs that could excite a complete stranger? I griped about the query letters I had to write, I doubted their efficacy, and was never surprised when sample chapters were not requested. What was most frustrating was that when I met agents at conferences and shared my enthusiasm for my book like a human being, rather than some ad in a catalogue, they always requested sample chapters. The problem, I told myself, was the letters. They were just too short. The problem was not the letters. The problem was that I believed my job was to know what other people liked. That was the whole point of the letters, wasn’t it – to excite enthusiasm in an agent? Yet I had no idea what anyone else liked. I never have. I know what I like; I know what excites me and what holds my attention. Everyone else’s desires and curiosities, my friends and family included, remain necessarily mysterious to me. What other people like, ultimately, is none of my business. Eventually I decided to write my query letters exactly the way I wrote my stories. I would write the letters to please me. I would write two paragraphs about why I loved my book, about why I spent two or three years of my creative life working on it. To do so, I would have to forget the agents and remember why the book had been so interesting to me. When I wrote from this place, I found confidence I had only previously believed was possible while writing stories. The results were immediate – by which I mean I immediately enjoyed writing the letters. In fact, I enjoyed writing the letters enough that I had to remind myself why I had written them. By and by I sent them out and got those other results. But by then I understood the order of things and so was as unsurprised when the agents asked for chapters as I had once been when they had not. We writers like to be alone for good reasons. To do this work we must turn our attention toward what we know best: ourselves. As much as we love to share our work with other people, those other people can become debilitating distractions if we let them. It’s not their fault, of course; it’s ours. To believe we must know more than what it is we love makes us lose sight of the story life delivered us here to tell. For more ideas from Bill, check out his blog at https://www.authormagazine.org/editorsblog/. 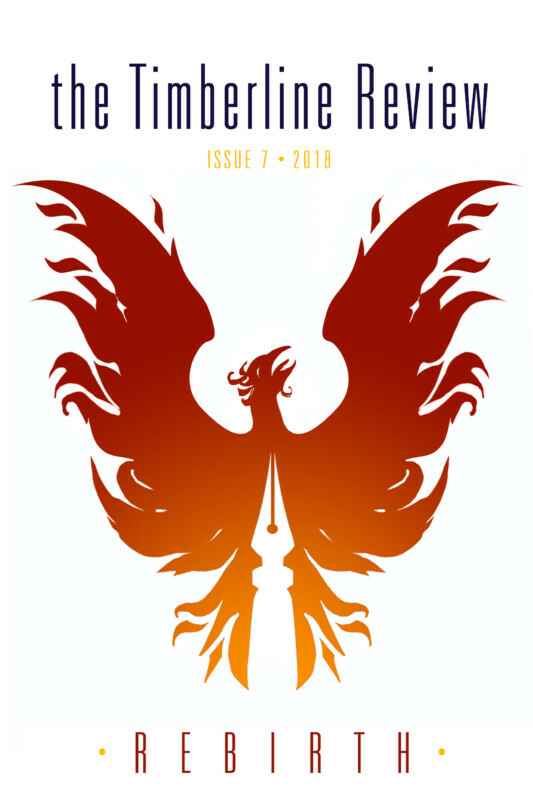 Bill will be teaching two sessions, Fearless Marketing and How to Give a Killer Keynote at the upcoming Willamette Writers conference this August 3rd through the 5th. Join us!